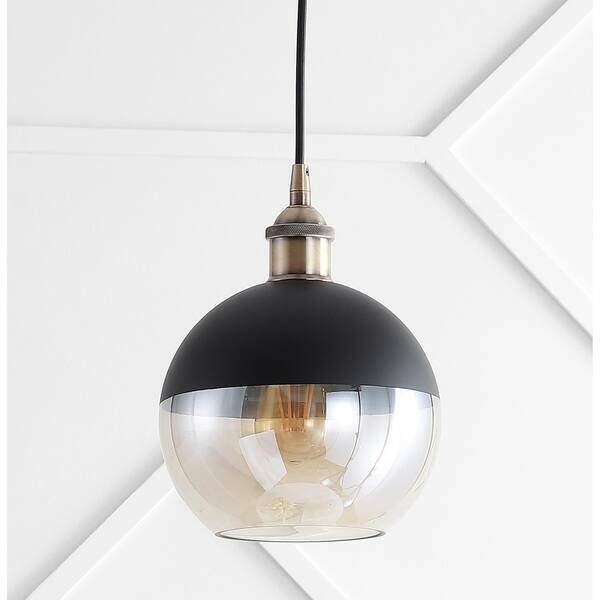 The globe pendant was first popularized by Hicks, but eventually was iterated upon for each new design-loving generation. Here is a modern take that features a champagne-colored smoked glass at the base, the classic black metal top, and brass components to complete the look. Whether hung in a set over a kitchen island, in a row going down a hallway, or individually to brighten a dark nook, this modern update is as versatile as the original. Dimensions 7.5 In. X 7.5 In. X 11.5 In.